Crucial has managed to come in with some cheap kit, and although it's the same price as some slower 1333MHz modules, it's half the capacity. 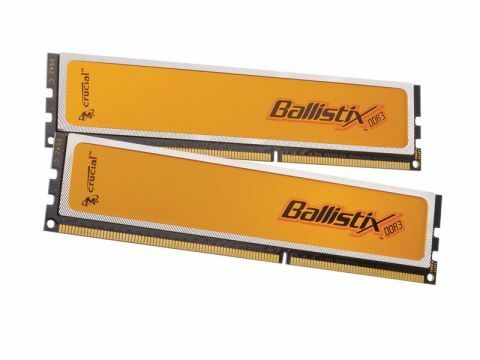 So, at twice the effective price, and at 70 per cent extra clock speed, is this kit 70 per cent better than the 4GB kit? The short answer is no. As many boards won't run the memory at full speed, the best we could run it at was 1,600MHz, so way short of the 2,000MHz it's capable of. Understandably then, we weren't going to get the full performance, but the actual throughput fell some way short of even the 1,600MHz kits, although at half the physical capacity, that's no real surprise. If you want the fastest RAM possible, then Crucial has the kit for you, but a slower 4GB kit is a better way to spend your money.